Uncle Sam put his first call in to a young Kevin Petro in the 1970s, in a small corner of Ohio’s Trumbull County. A Hubbard native, Petro was a frequent visitor of the nearby air base in Vienna Township. He would take trips with his family up State Route 193 to watch spectacular air shows, glimpse historic military aircraft and tour the ground displays. But among the sights, a few paper pamphlets earned his fullest attention. Those pamphlets would shape his ambitions, but years later it would be Petro influencing audiences across the globe, from Latin America to the Middle East, as a colonel in the Army’s Psychological Operations branch and chief of Military Information Support Operations at U.S. Special Operations Command (USSOCOM) headquarters. Petro’s official start with the military came right after high school. Joining the Army in 1986, Petro advanced from private to sergeant in three years, with his sights always higher. “It was my goal to be an officer, and I knew a degree could open that door for me,” he said. Returning home, he traded his dog tags for textbooks on an ROTC scholarship at YSU. He graduated four years later, earning his bachelor’s in Combined Science and his commission as a second lieutenant. From there, Petro advanced through a career in military logistics that took him from armed intervention and humanitarian relief efforts in Haiti, to peacekeeping operations in the Sinai. 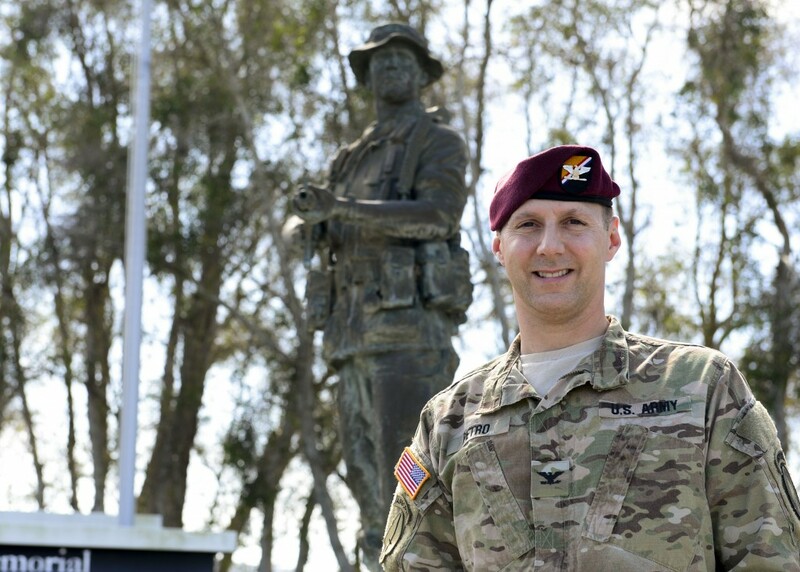 A traveler at heart, he loved the adventure and soon climbed the ranks to major, transferring to a position that would see numerous deployments throughout Latin America and Afghanistan. His new assignment: psychological operations. “It’s about using truthful information to influence foreign audiences – governments, organizations, individuals – to think and act in a way that’s beneficial to U.S. interests,” explains Petro, now colonel and current branch chief at USSOCOM headquarters, MacDill Air Force Base in Tampa. “We use theories and techniques from disciplines such as communications, advertising, marketing, psychology, sociology and other social sciences. My job is to synchronize global employment of our unique influence forces.” His responsibilities will be expanding this spring, as he takes command of a task force in the Persian Gulf nation of Qatar for a yearlong tour of duty. It’s a leadership role that will bring him to the top of his profession, but the colonel takes it all in stride. In addition to his undergraduate degree from YSU, Petro holds an MS in Counseling from Long Island University and a Master of Strategic Studies from the U.S. Army War College in Carlisle, Pa. He and his wife, Wendolin, live in Tampa; he has a son, Tim, and a stepdaughter, Linda.